Sint-Truidense on-loan striker Mohamed Buya Turay has accounted for two goals in his first two Swedish top-flight matches this season. 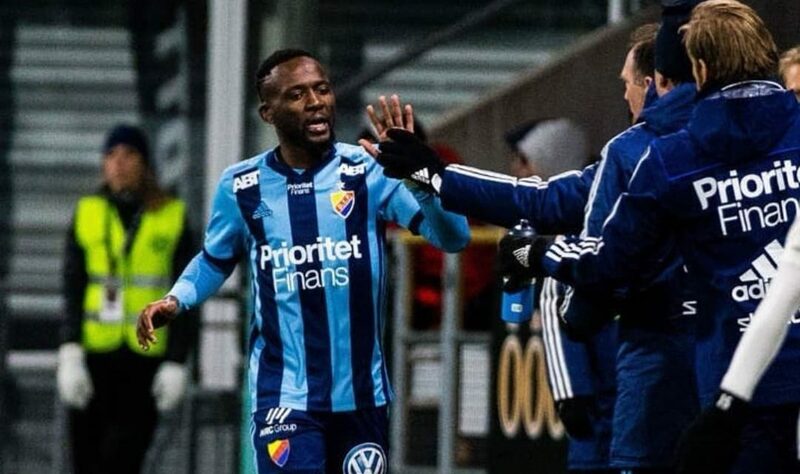 Turay, 24, scored for Djurgården on Monday as they showed class against Örebro in their 3-0 victory. Aslak Fon Witry’s scored a brace and Turay’s 71st-minute goal was enough for the Stockholm-based outfit. The win means Djurgården moved up to second for the time been until other matches completed. The visitors Djurgården dominated the match with great resilient and high entertainment value. Both sides failed to register a win in their opening Allsvenskan matches last week. However, Turay scored his first goal in their 2-2 draw against GIF Sundsvall on April 1 at the Tele2 Arena.